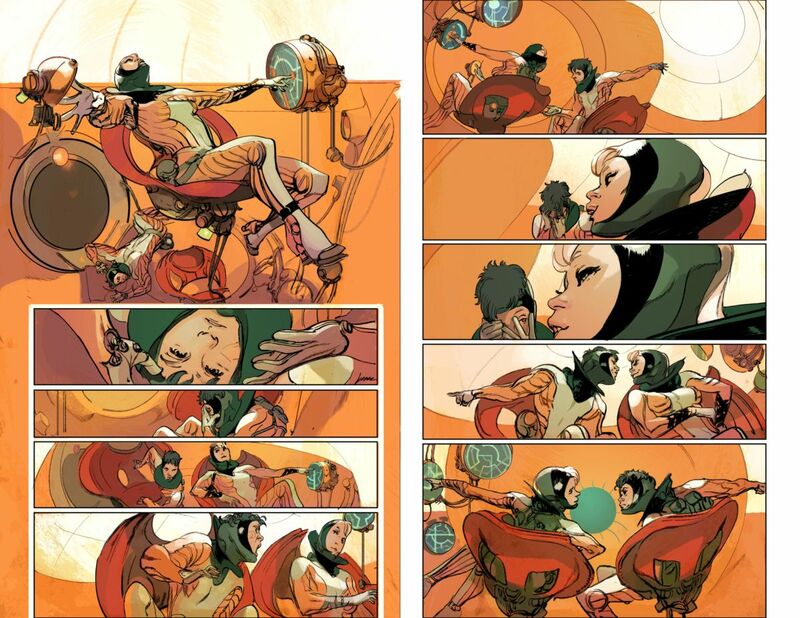 Bestselling writer Rick Remender (BLACK SCIENCE, DEADLY CLASS) and artist Greg Tocchini’s (Uncanny X-Force, Last Days of American Crime) hot new science fiction adventure keeps climbing in popularity. 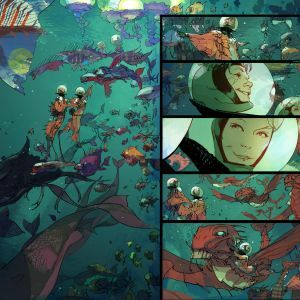 Readers in search of a science fiction series filled with plot twists and worldbuilding cannot get enough of LOW and issue #2 has sold out instantly. 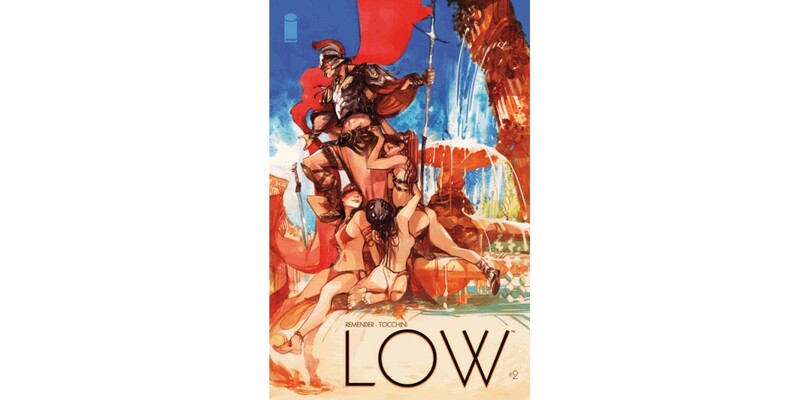 LOW #2 will sail into a second printing arriving on 9/24 to meet customer demand. Additionally, we are pleased to reveal early artwork of the eagerly anticipated LOW #3. 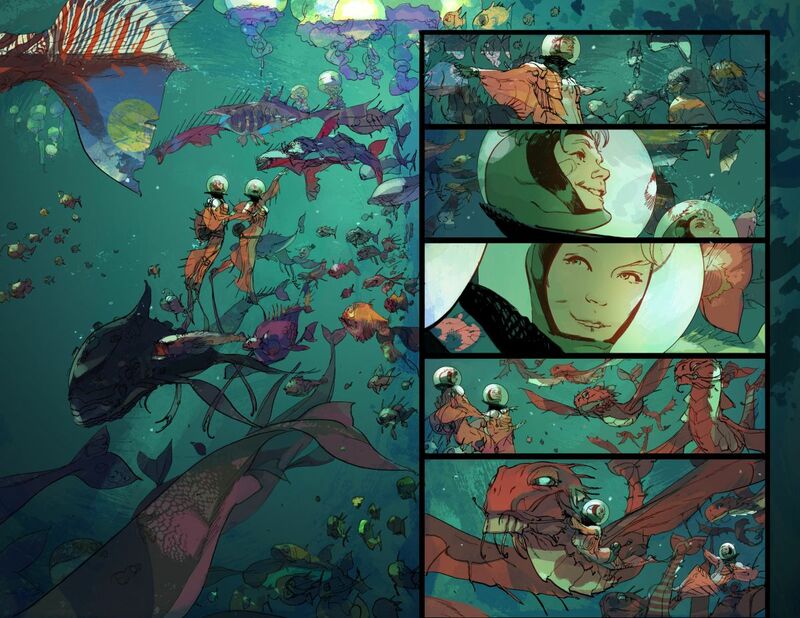 LOW #3 picks up with Stel Caine's effort to save mankind. She's going to do the unthinkable, something that hasn't been done in millenia: walk on the Earth's surface. But before she can rise from the depths of the ocean, she must first help her son rise from the suffocating emotional darkness in which he wallows. 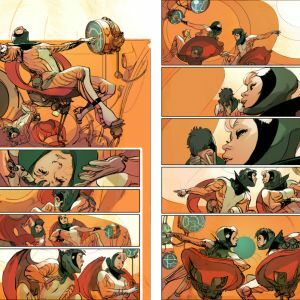 "We're thrilled by the incredible reaction, it's more than we could have hoped for,” said Remender in response to the news of issue #2’s sell-out and 2nd printing. “Low has been years in the making so seeing all the hard work paying off, it's wonderful. Many thanks to the faithful readers and retailers for the huge support." The first printing of LOW #2 has completely sold out at the distributor level, but may still be available in comic stores. It is currently available digitally on the Image Comics website (imagecomics.com) and the official Image Comics iOS app, and on Comixology on the web (comixology.com), iOS, Android, and Google Play. The second printing of LOW #2 (Diamond Code JUL148415) will release on 9/24. LOW #3 (Diamond Code JUL140555) will hit stores on 9/24. The final order cutoff deadline for retailers is Monday, 9/1.